Battery ships with LTP Blade Style Terminals. Batteries ship from various warehouses and usually deliver within 7 working days. 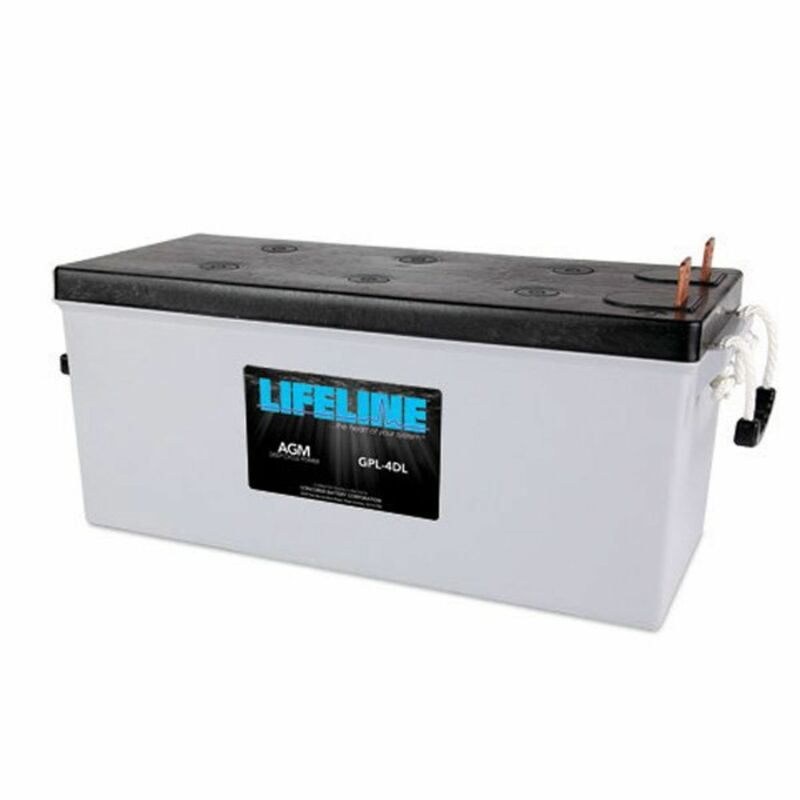 The Lifeline GPL-4DL is a high performance, Mil-Spec, AGM battery, produced in the United States. Due to the Lifeline Battery's quality construction, it has an industry leading 2% per month self discharge rate at 77°F (25°C). These batteries off gas only 2% by volume under normal operating conditions, again, industry leading. No sulfuric acid leaks, no acid clean up, and more power in the same space when compared to conventional batteries. The GPL-4DL is designed for charging amperages up to 525 amps or 250% of the rated Amp Hour Capacity due to low battery internal resistance. Do you own the GPL-4DL? Please, tell us what you think about it. It helps us provide you with better products. Please note that it may take up to 72 hours for your review to appear.